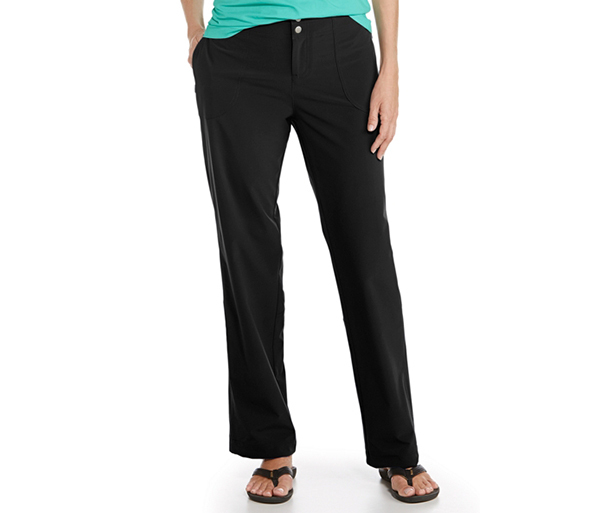 Enjoy the outdoors in the stylish comfort of our sleek, quick dry performance Adventure Pants by Coolibar. 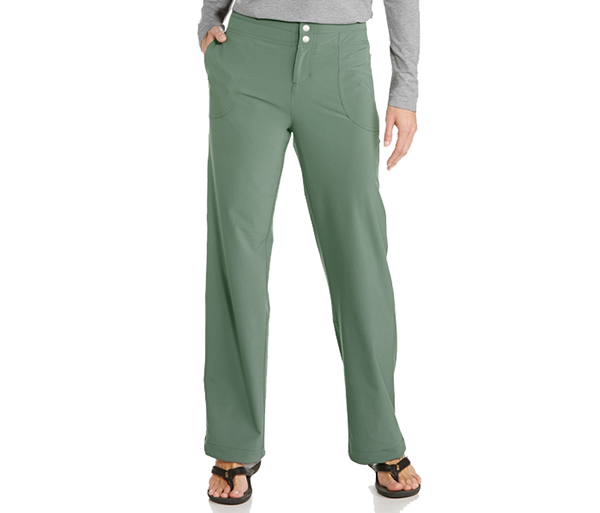 With total maneuverability to keep up with your every move and a fit that flatters your figure, you will love the versatility of our lightweight, sun protective travel pants. Stylish details like the double snap closure with faux fly, drawstring ankle ties and 4 hidden pockets with secure zip closure are the perfect blend of function and fashion for a polished “smart casual” look. Ready to withstand all activities without wrinkling, these adventure pants are ideal for sunny hikes, walks or a long plane ride to your favorite destination.